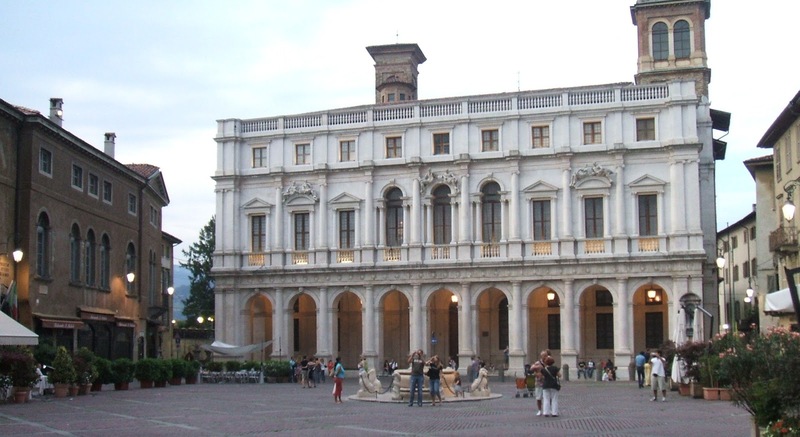 The white marble Biblioteca Civica (Angelo Mai Civic Library) is the impressive building at the northern end of Piazza Vecchia. It was originally built as a town hall for Bergamo at the beginning of the 16th century, based on a design by architect Vincenzo Scamozzi. Also sometimes referred to by the Bergamaschi as Palazzo Nuovo, the building is a striking contrast to the older, grey stone Palazzo della Ragione opposite. It became the home of a library in the 18th century, whose collection of documents, manuscripts and volumes has grown over the years to reach in excess of 500,000 items. 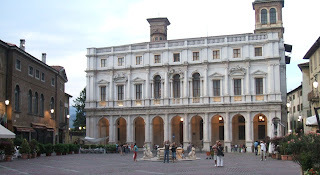 The Biblioteca Civica houses documents dating back to the 12th century, a 15th century copy of Dante’s Divine Comedy, handwritten scores by Gaetano Donizetti and his teacher Simone Mayr and works by Pope John XXIII, who was born Angelo Roncalli in nearby Sotto il Monte. The facade of the building was finally completed in the 20th century, still following Scamozzi’s original design, and the library was later named after Cardinal Angelo Mai, a famous palaeographer, who was born in Schilpario north of Lago Iseo. 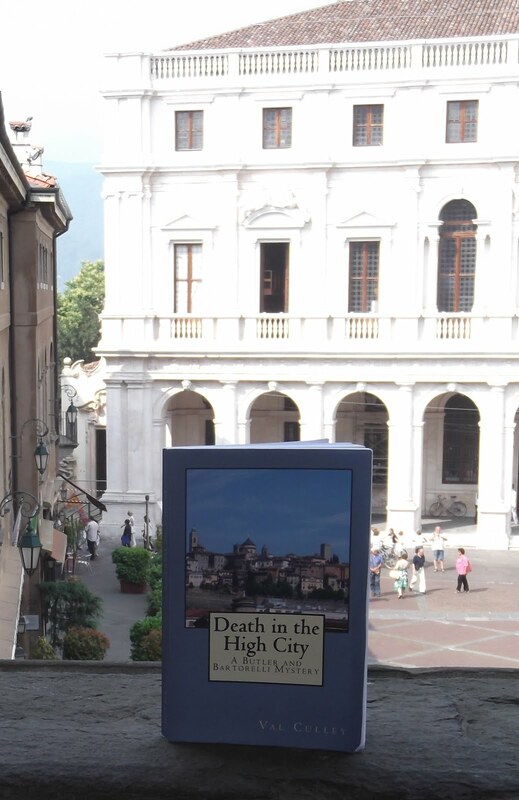 It now provides a tranquil place to study for writers and scholars in Bergamo and is well worth visitors going in to have a look round the interior. The Biblioteca’s opening hours vary according to the day of the week and the season, so check first with the Tourist Office in Via Gombito.